Multiple students have come forward detailing rumors of an active shooter drill at the same time the real shooting occurred as well as reporting multiple shooters. 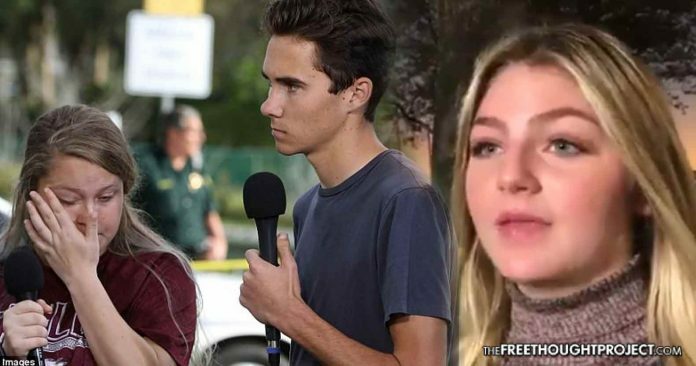 Parkland, FL — Multiple students have since come forward after the tragic shooting in Parkland, Florida on Wednesday with details that raise some serious questions. These students have reported that a mass casualty drill was scheduled that day as well as at least one other student reporting multiple shooters. It is important to point out that we are not claiming what these students are saying is true, however, we feel that their points of view are certainly newsworthy. “And as I was speaking to him he seemed very – I don’t know what the word is – he was trouble in high school. So I actually joked to him about and said, ‘I’m surprised you weren’t the one who did it.’ And he just gave me a ‘huh?’,” Miednik said. After this incredible account, Miednik went on to explain that she was absolutely sure there were multiple shooters. According to police, there was only one shooter—Cruz—who is currently in custody. On top of the report of multiple shooters, there were multiple reports of active shooter drills happening the same day. It has not been confirmed that a drill was planned—other than a fire drill that morning—but students said they’d heard a ‘rumor’ that they would have to take part in a ‘code red’ practice exercise. “I thought, ‘I don’t know if this is real or fake,'” Kelsey Friend explained to CNN. Another student, Will Gilroy, reportedly said that students at the high school in were told there would be an active shooter drill at their school this week. He said that’s why students thought they were participating in a drill when they were evacuating. Again, it is important to point out that we are merely reporting on eyewitness testimony and not drawing any conclusions from their statements. However, the reason it is important to report this—outside of the obvious one that the mainstream media is not—is the fact that it is highly suspicious and raises questions like, did Cruz know there were be an active shooter drill that day? Were the second shots as described by Miednik part of that drill? If Cruz did know about the rumored drill, who told him? All these questions and more need to be asked in order to get a clear image of why so many innocent people were killed. There is nothing “tinfoily” or “fake news” about them, it is simply important to leave no stone unturned.